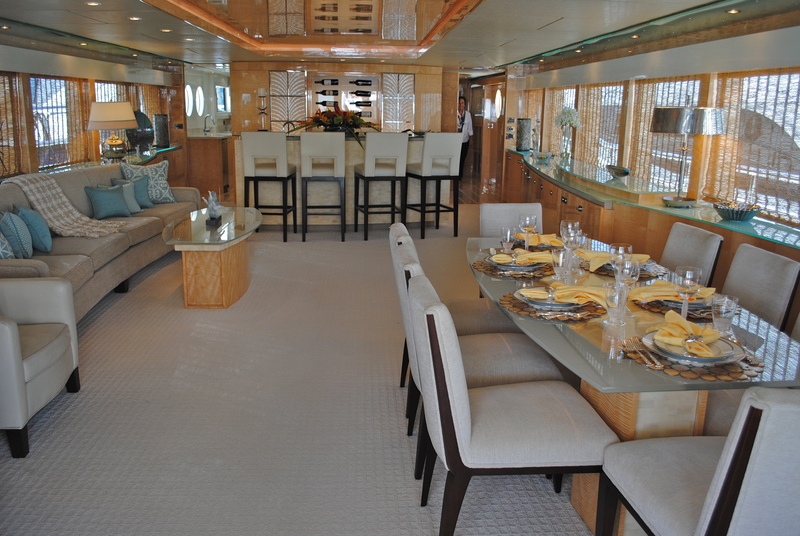 Our charter experts were invited to go aboard and experience the magnificent luxury charter yacht TOP FIVE, a 157′ Christensen available for charter in the Caribbean and the Bahamas. 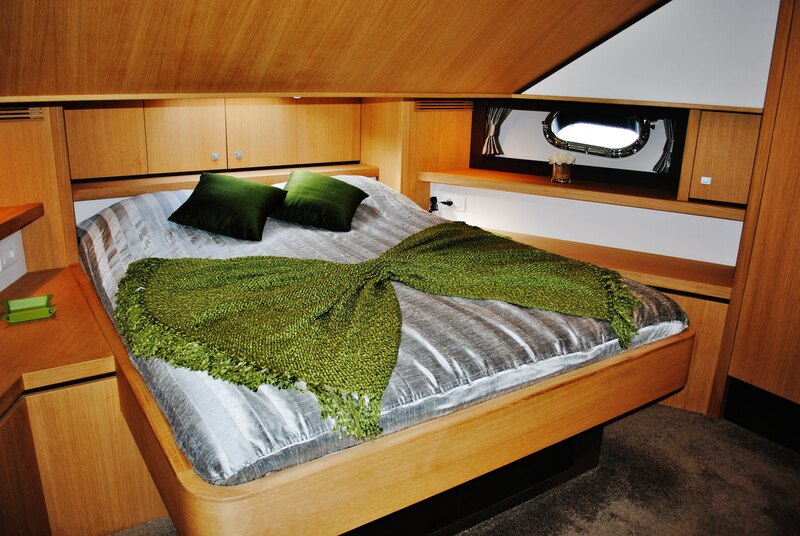 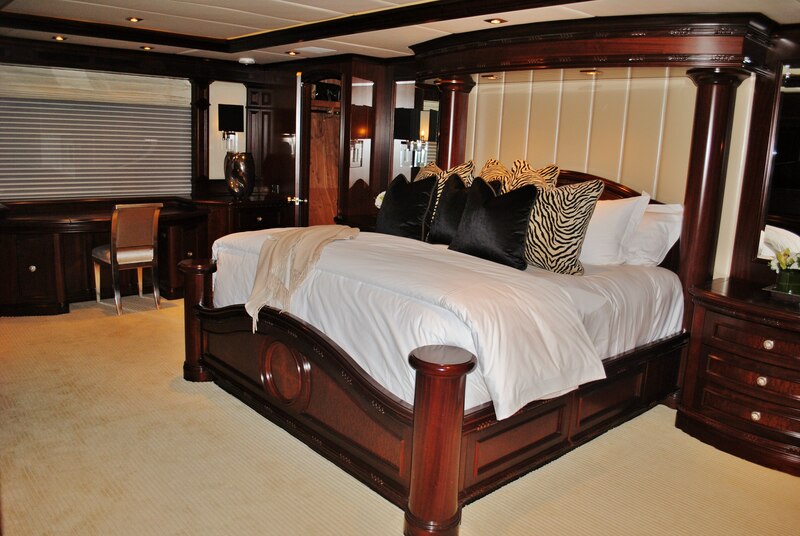 We were extremely impressed with everything about TOP FIVE, from her meticulous craftsmanship to her delightful crew. This is a superyacht with a stately, understated elegance that will enchant her charter guests while easily meeting all of the requirements of a discriminating clientele. 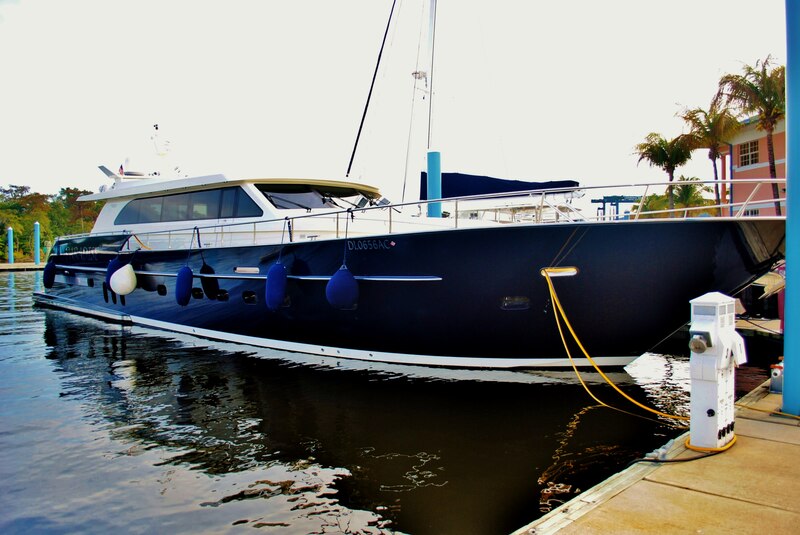 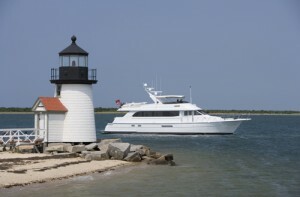 TOP FIVE (ex: Nice ‘N Easy, Liquidity) was built in 2005 by US builder Christensen Shipyards and was originally designed for the shipyard owner himself. 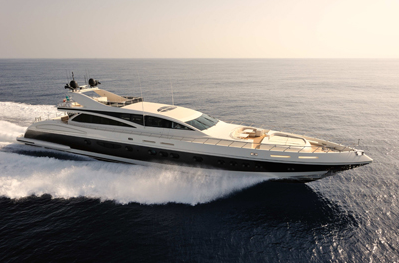 Thus, although Christensen is renowned for launching magnificent yachts, TOP FIVE has design elements that launch her cleanly over the top. Exterior design and naval architecture by the Christensen in-house team endowed TOP FIVE with the powerful and imposing profile that distinguishes the brand in any port of call. 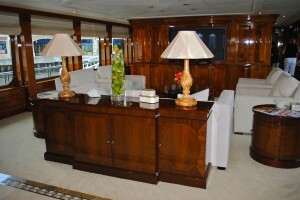 Recently the yacht has had an extensive soft goods refit to update interiors that are sophisticated, soothing and subtle. 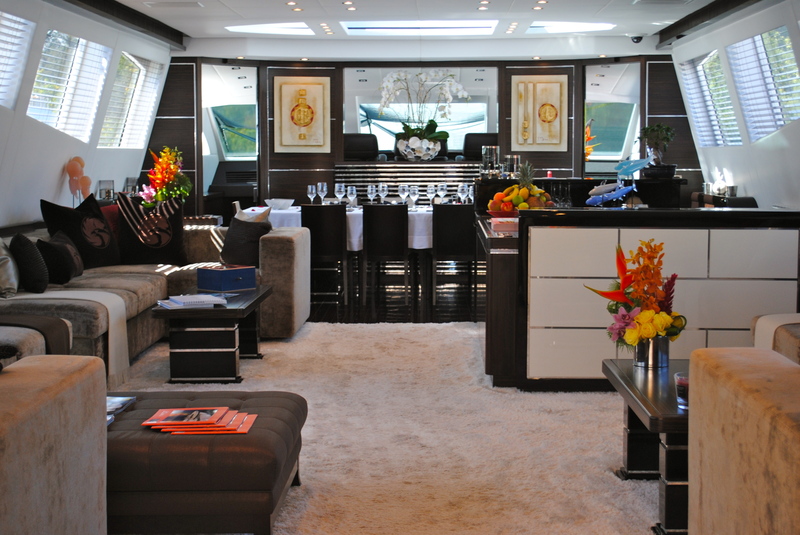 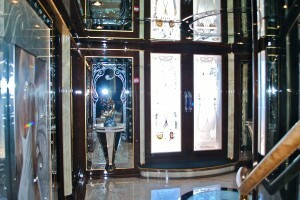 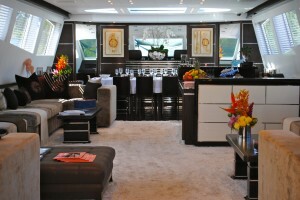 The broad appeal of understated elegance is perfectly suited to the diversity of charter clientele. 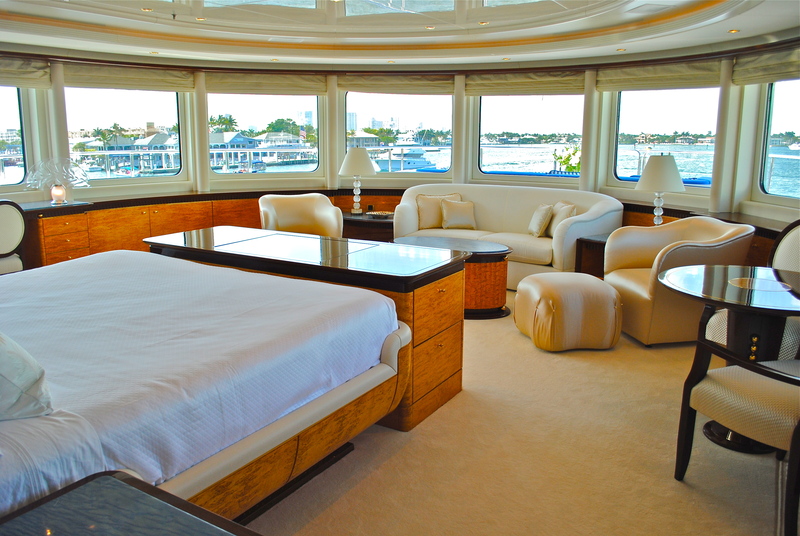 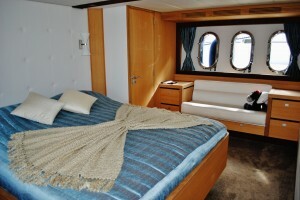 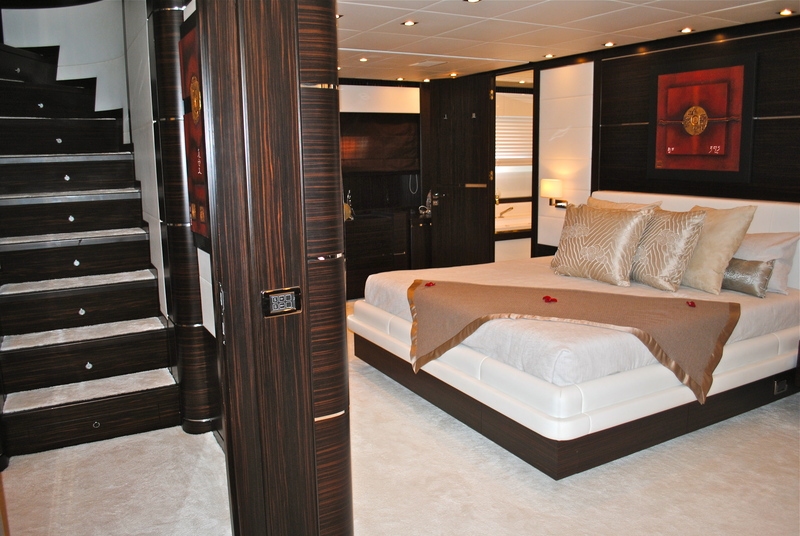 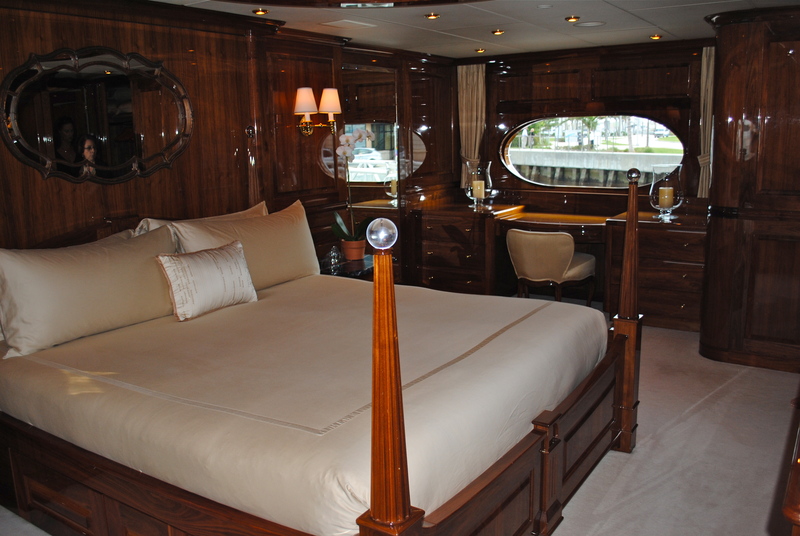 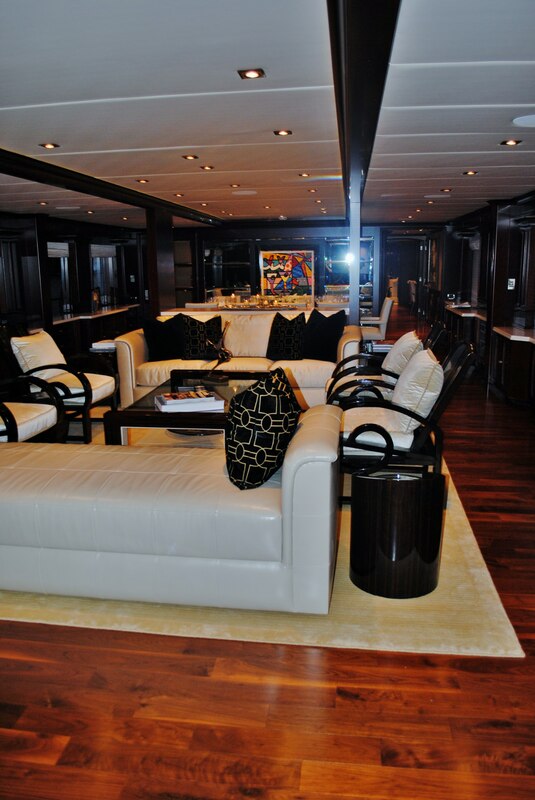 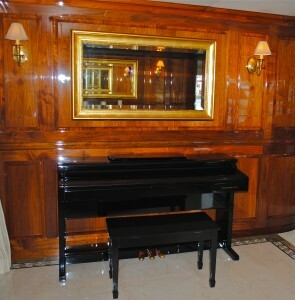 Regardless of whether charter guests prefer Mozart or Madonna, they will feel comfortable and at home aboard TOP FIVE. 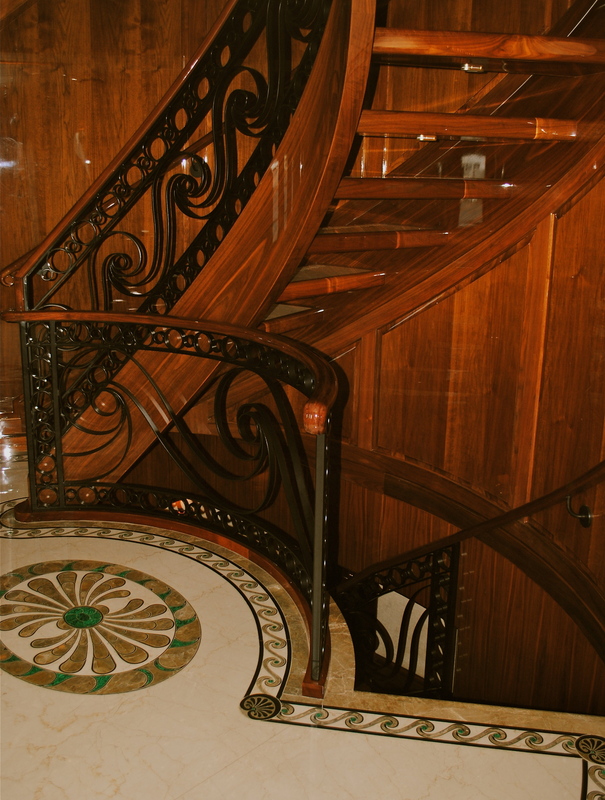 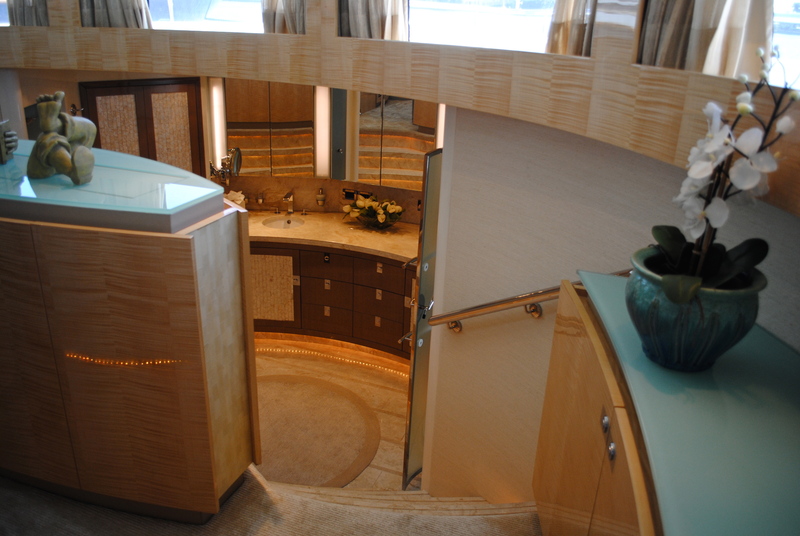 Superb joinery and intricate stonework are distinguishing features of luxury yacht TOP FIVE. Meticulous attention to detail is evident in the raised-panel joinery of American walnut with high gloss finish and perfectly matched wood panels and veneers. Deep earthen tones create a stunning balance against creamy white carpeting with a delicately undulating pattern. 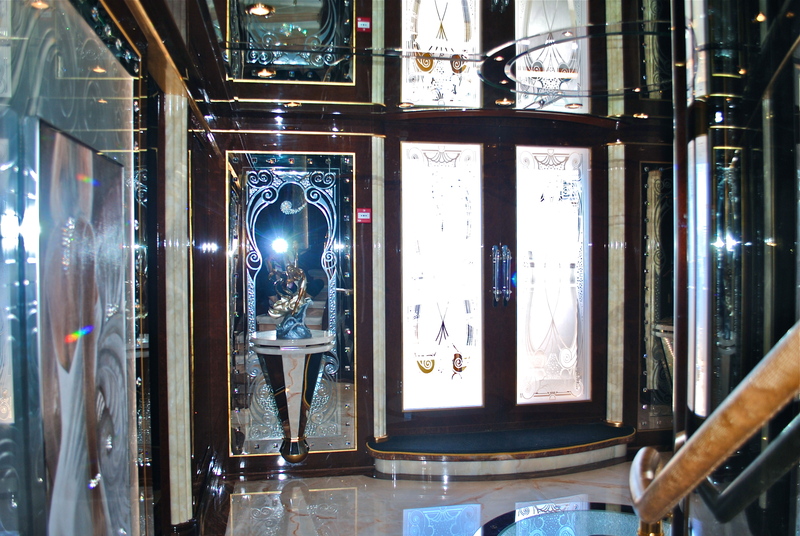 Exotic stone materials, including malachite and Juparana persa granite, are beautifully inlaid throughout the foyers, bathrooms and hallways. 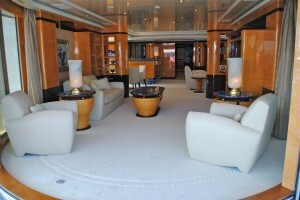 Contemporary furnishings in a light color palette derive sophistication from a simplicity of form. 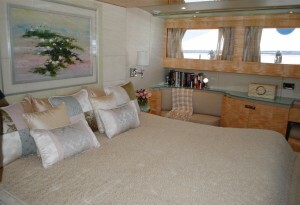 is the full beam VIP king suite that has an exquisite bathroom with Jacuzzi and separate shower. 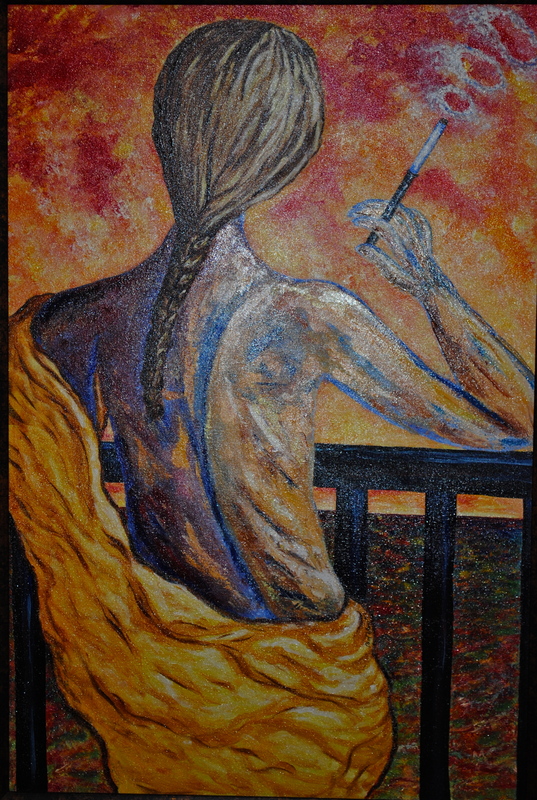 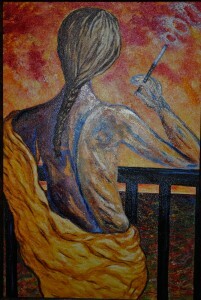 The 50 inch TV opposite the bed is cleverly concealed behind a pleasant painting. 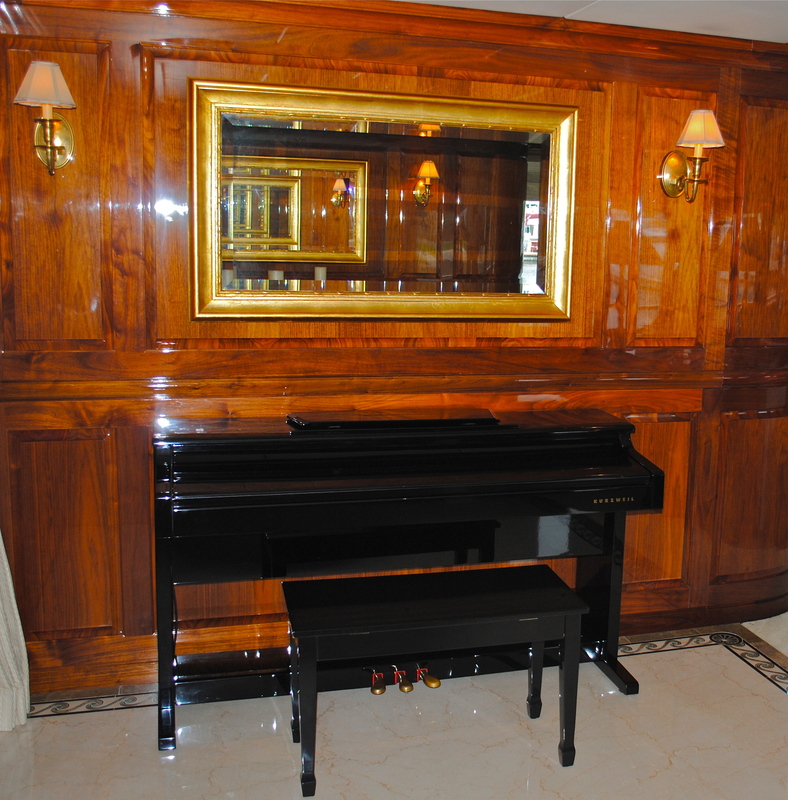 Also on this level are two queen guest staterooms and two guest staterooms each with double, twin and Pullman beds. We met Chef Bradley David in his spotless galley on our visit. 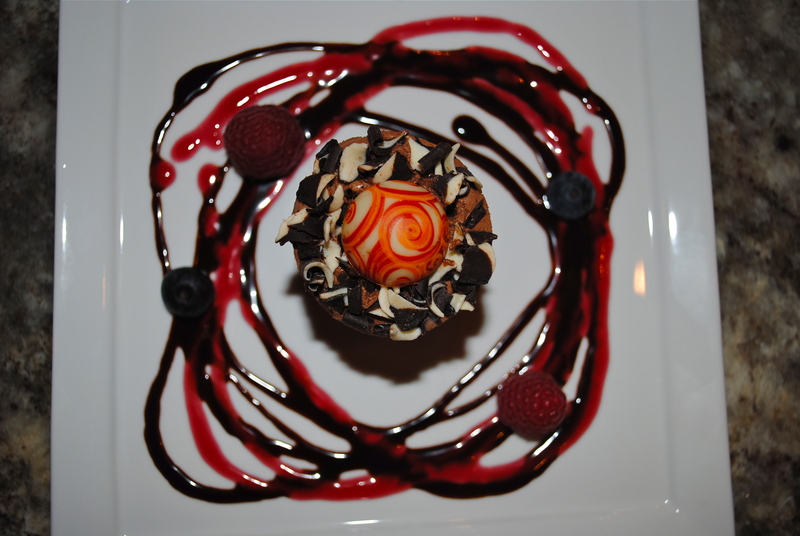 He surprised us with servings of delicately flavored tomato gazpacho, and what he described as “a sandwich”, (far to common a description of this remarkable crab delicacy), and a signature chocolate mousse creation. 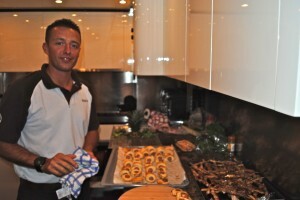 He is charming, talented, and a very experienced yacht chef quite capable of pleasing any palate. 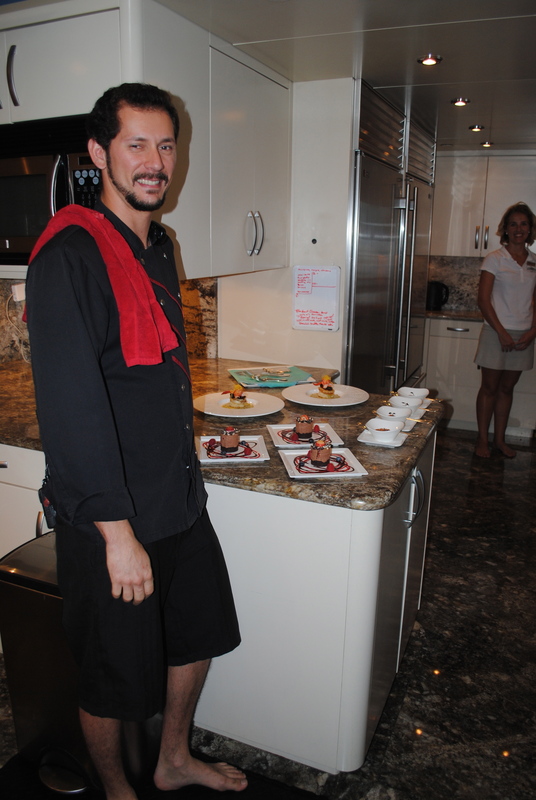 He said his favorite recipes to prepare are new ones, both his own creative dishes as well as those of other chefs. 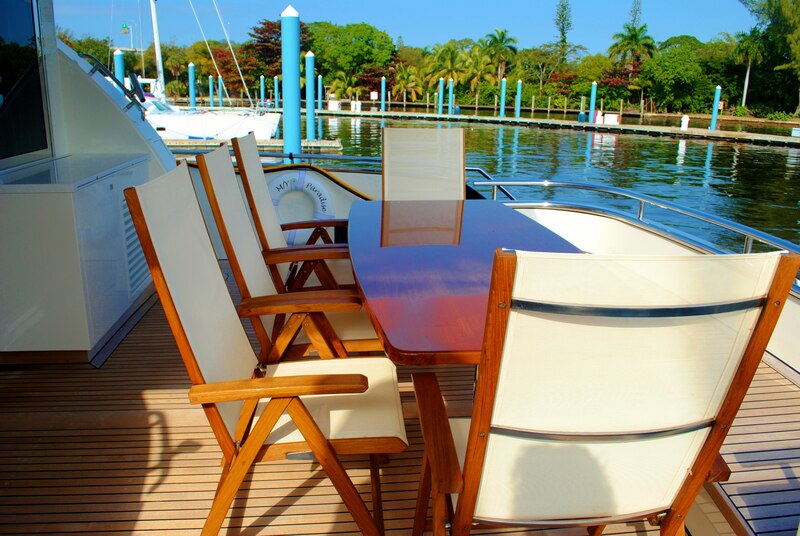 Captain Johannes, despite expecting a new group of charter guests within the hour, graciously spent quite a bit of time chatting with us about TOP FIVE and some of his favorite Caribbean itineraries. 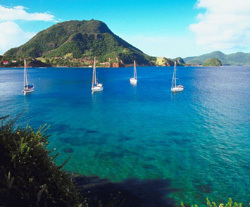 Not only is he extremely knowledgable about the region, he is also enthusiastic about creating custom itineraries suited to repeat charter clients who are seeking alternative Caribbean ports of call. 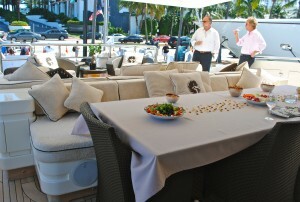 The Chief Stew and Second Stew were continually smiling, gracious and extremely attentive. 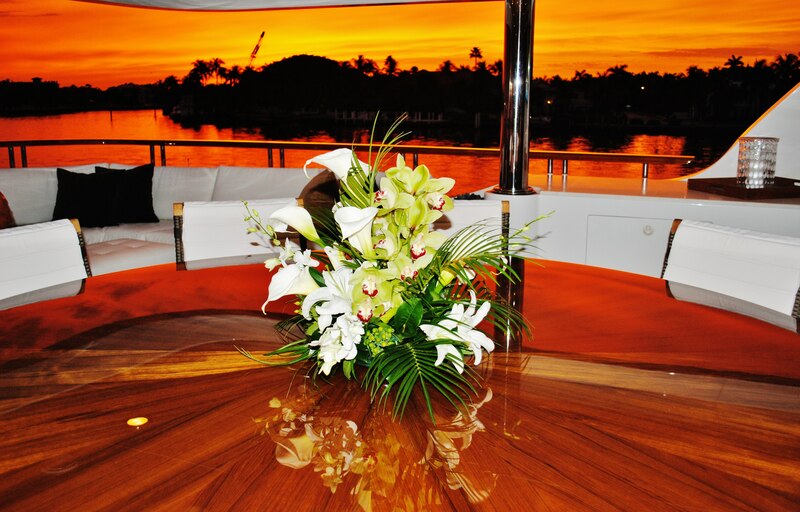 This highly professional crew works together harmoniously and seems flawlessly adept at pleasing charter clients. It was a great pleasure to be on board luxury superyacht TOP FIVE, and to have the opportunity to experience firsthand the elegant interiors, expansive deck spaces and first rate crew. 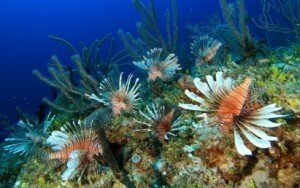 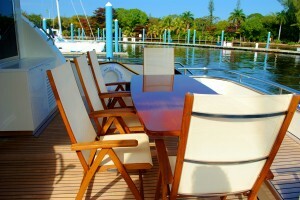 TOP FIVE will undoubtedly be an exceedingly popular charter yacht in the Caribbean and the Bahamas this season. 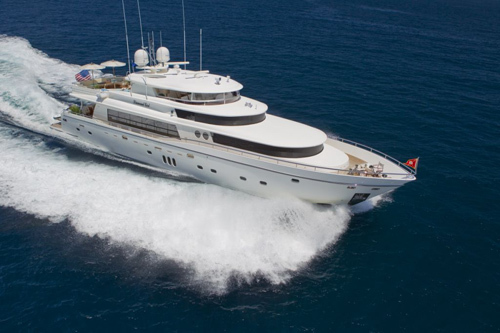 Please contact Sunreef Yachts Charter for detailed information, charter rates and availability for TOP FIVE, or for comprehensive information about Luxury Yacht Charter and Destinations worldwide. 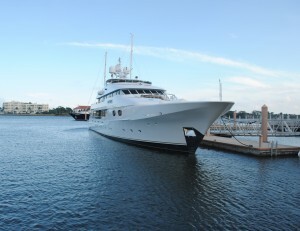 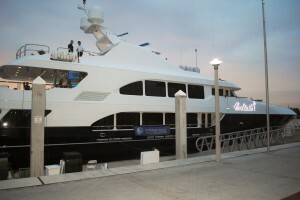 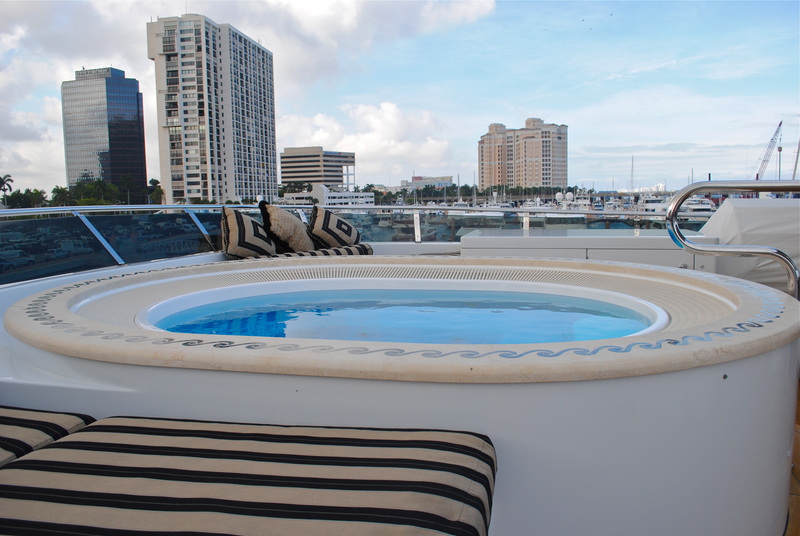 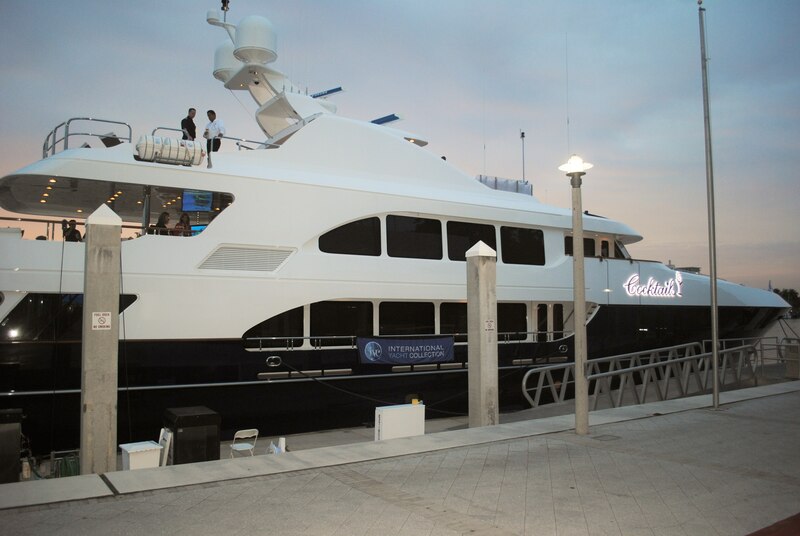 Sunreef Charter Experts were delighted to have the opportunity to tour COCKTAILS, a magnificent Trinity 157, while she was docked at Bahia Mar in Fort Lauderdale. 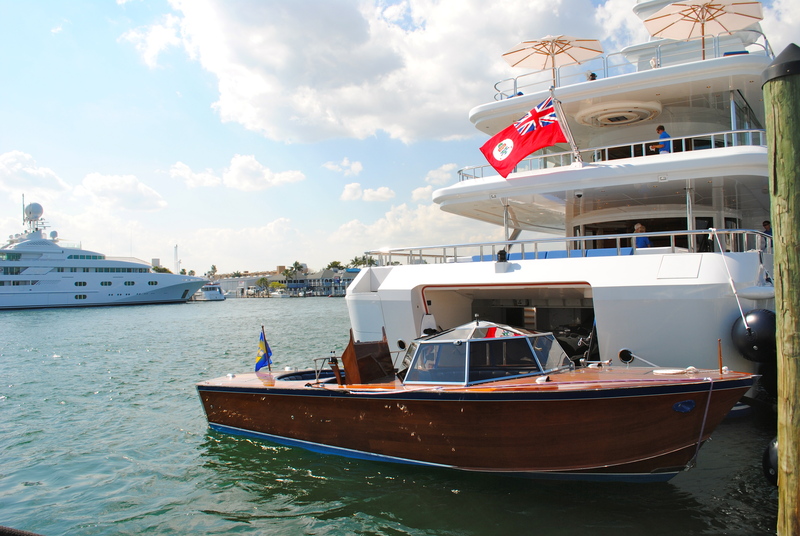 COCKTAILS (EX Janie, Chevy Toy) launched from Trinity Shipyard in 2004, underwent an extensive refit in 2011, and emerges with a very stylish new look. While the aesthetic is contemporary, the liberal use of white leather, fabrics, paneling and marble impart a classical Greek tone. 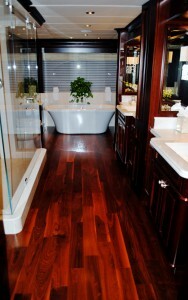 The contrast of this alabaster palette with the liberal use of rich, dark woods makes a striking presentation. 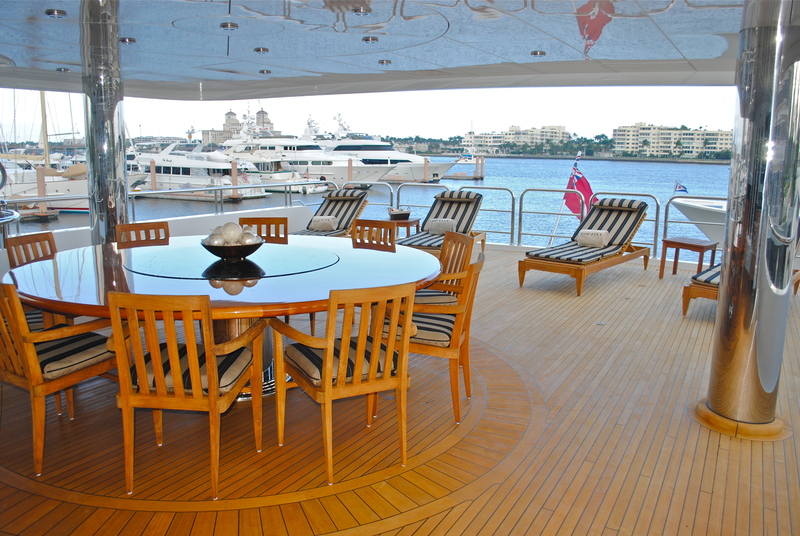 Entering from the aft deck, the length of the main deck stretches forward in an uninterrupted majesty of space. 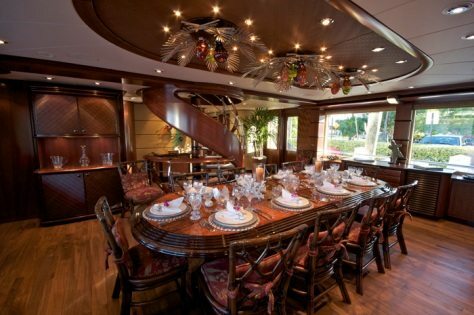 Somewhere far forward in this open architectural layout is the formal dining arrangement. 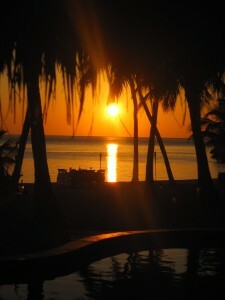 Although there is no physical separation between these two areas, the eye is pleasantly fooled. 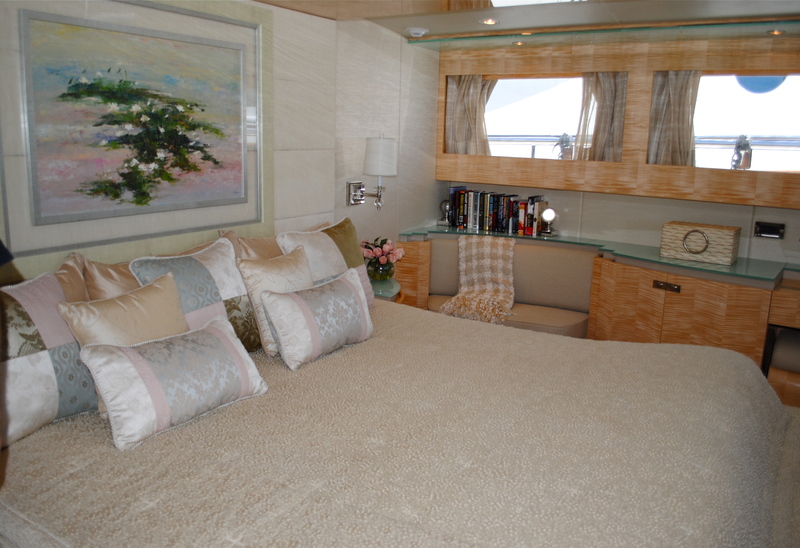 Accommodations for 10 guests include a sumptuous king size master suite, two king size guest suites, one queen guest suite and a guest with two single beds and a Pullman. 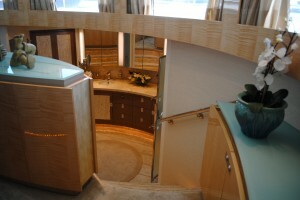 The master features a handsome dual bathroom with Jacuzzi tub designed with a Victorian traditionalism that extends throughout the suite. 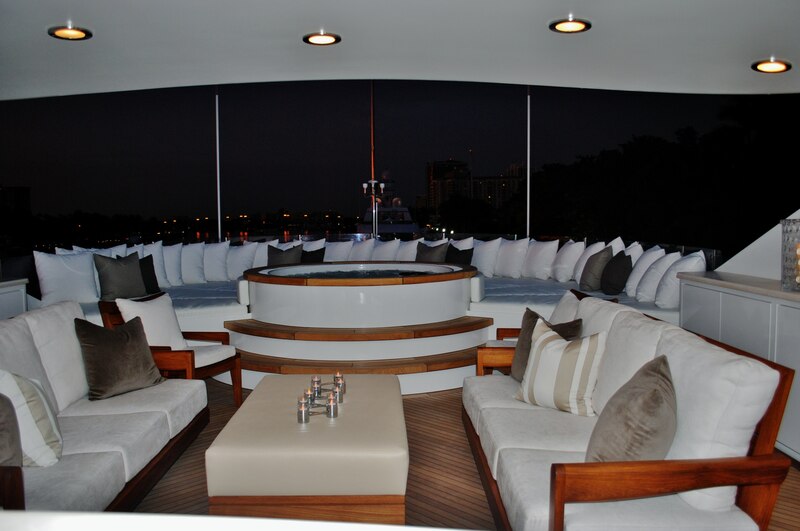 The sky lounge on COCKTAILS is a casual social space with game table, state-of-the-art entertainment system, fully equipped bar and spectacular views through oversize windows. 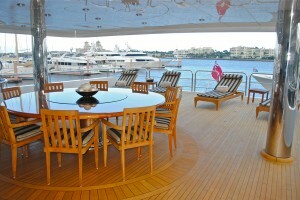 However, it is the alluring sundeck where guests will likely spend as much time as possible. 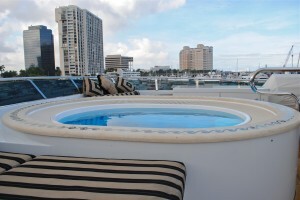 Forward, an arc of plush sun pads with some 40 throw pillows for back support surrounds the Jacuzzi, while aft lounge chairs near the marble top bar each have a side table perfectly positioned to hold a signature tropical cocktail with fresh fruit supporting a miniature paper umbrella, or a vodka martini. 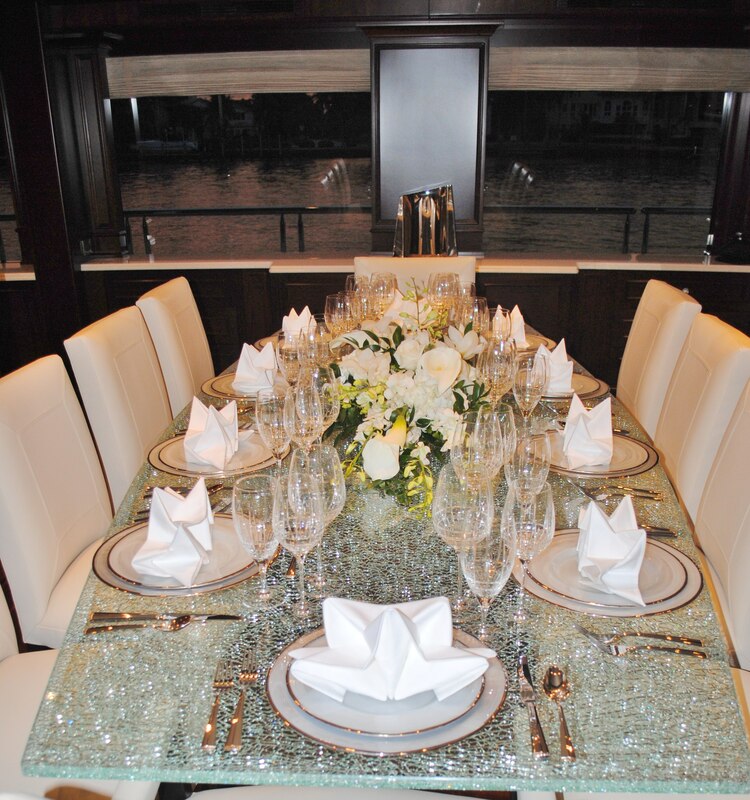 On our visit, COCKTAILS highly acclaimed chef prepared a tantalizing array of seafood appetizers including shrimp, lobster, clams and oysters, prepared in various indescribably delicious ways, and so apropos for an evening on the water. 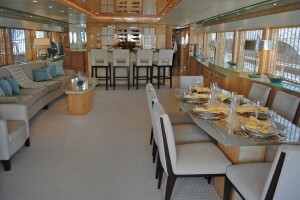 COCKTAILS promises to be an extremely popular charter yacht that will delight the most discriminating charter clients. 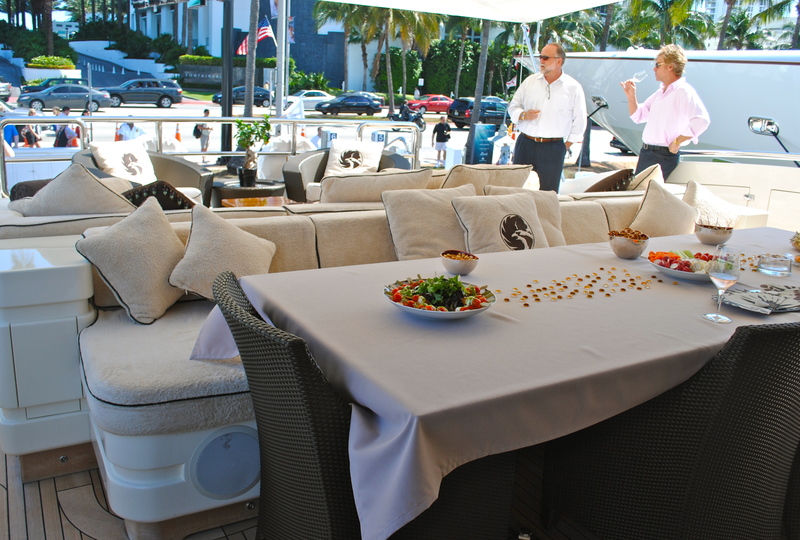 The professional crew of nine is superbly skilled in the art of service and know how to cater to the individual needs of their esteemed guests. With elegant surroundings, the renowned sea keeping abilities of Trinity yachts, and styling that will turn heads in any port of call, COCKTAILS is an unparalleled charter option. 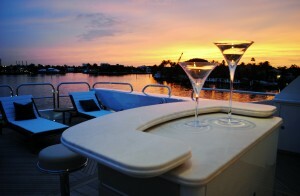 Follow this useful link for details and booking information to Charter Cocktails. 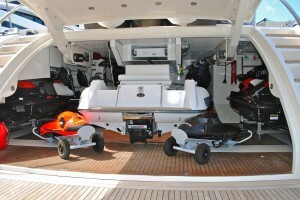 Please visit Sunreef Yachts Charter for charter and destination information. 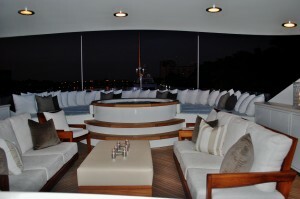 Leave your worries and the cold weather behind and let the the stunning MR. 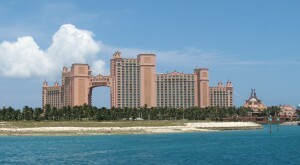 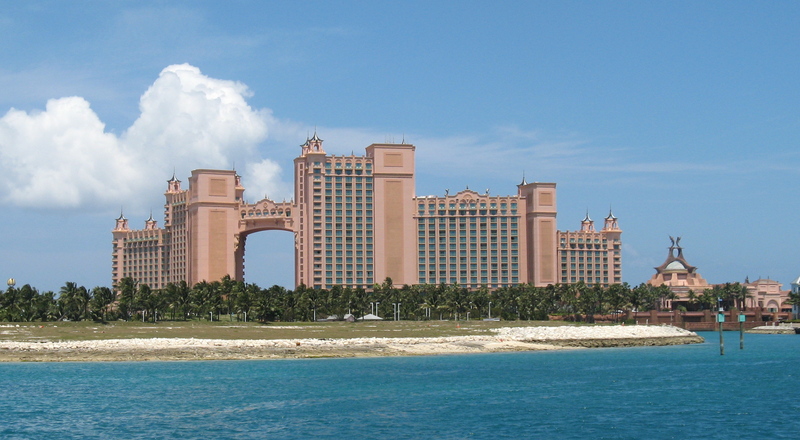 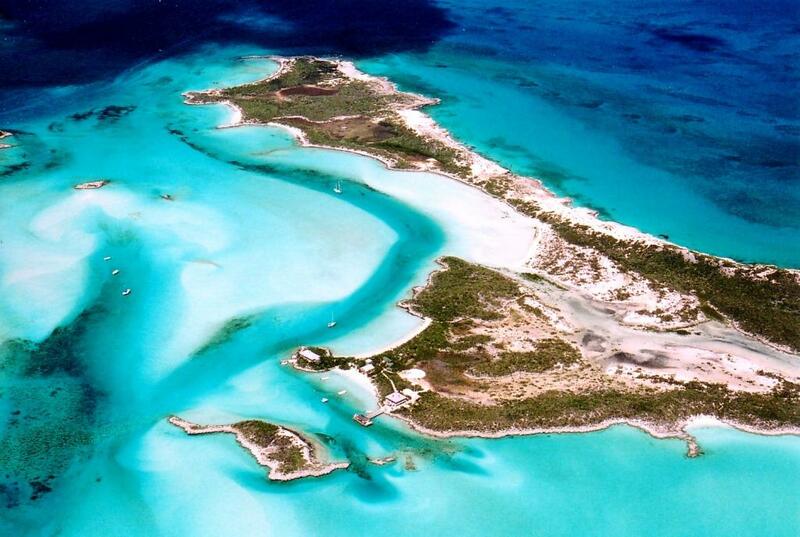 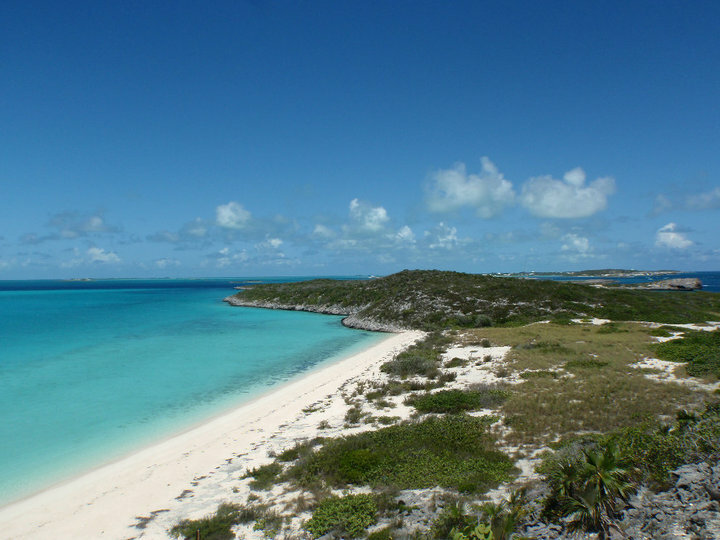 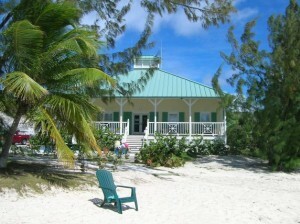 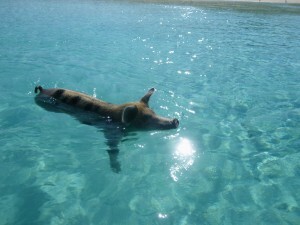 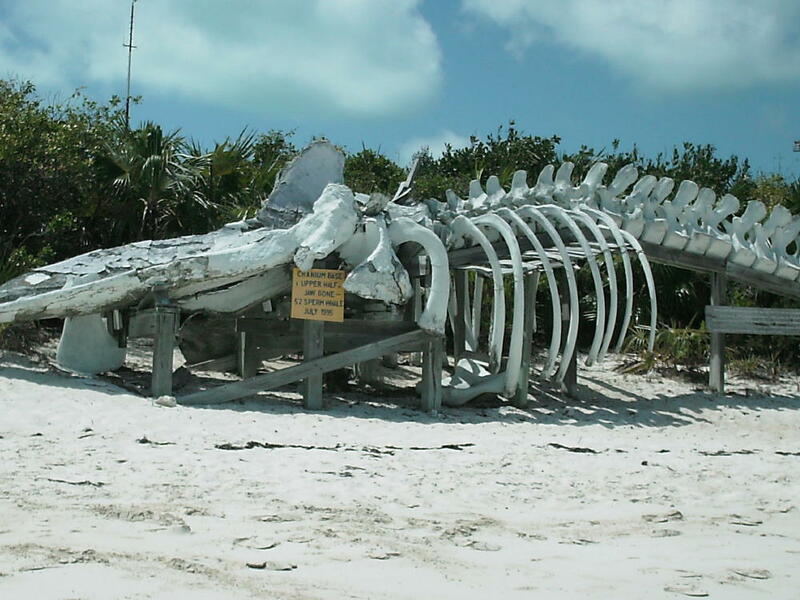 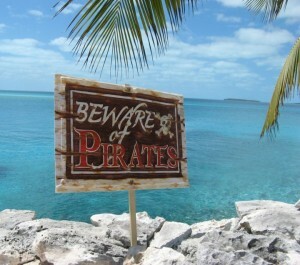 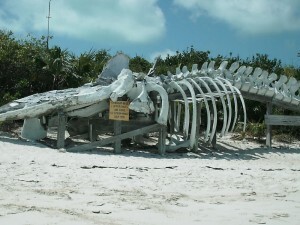 TERRIBLE whisk you away to the sun-soaked beaches of the Bahamas or the Caribbean this winter! 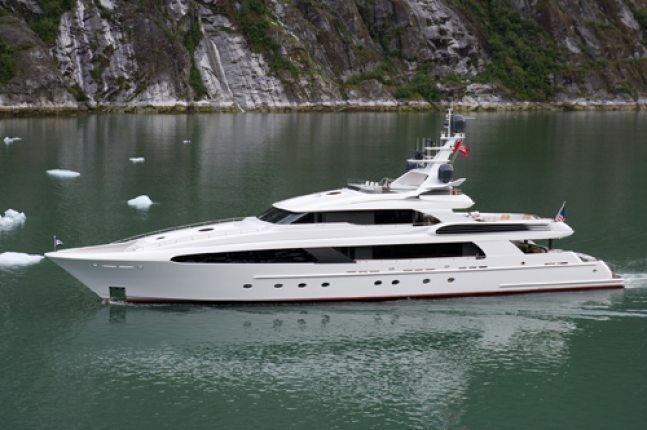 Offering a 10% savings from its regular rate of $220,000 per week, this sleek and sporty megayacht is now available for charter at the attractive rate of $198,000 per week. 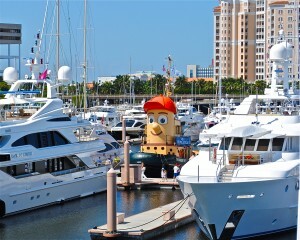 Remarkably sophisticated, MR. 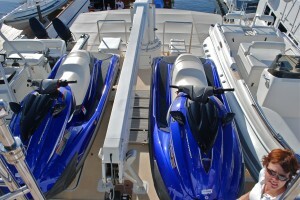 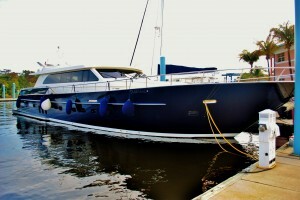 TERRIBLE built by Delta Marine in 2007, is the epitome of power, performance and style. 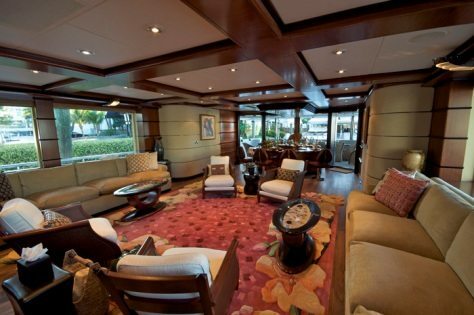 A superb example of fine craftsmanship she offers her guests the most sumptuous of surroundings and was designed using only the finest of materials and exotic woods. Inspired by the tropical beauty of Polynesia and featuring a luxurious interior suited for those with meticulous taste, this whimsical charter yacht and her five-star crew of 7 will treat you to pure paradise. 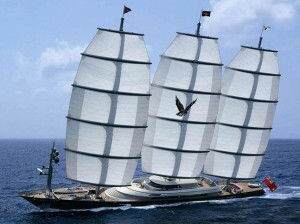 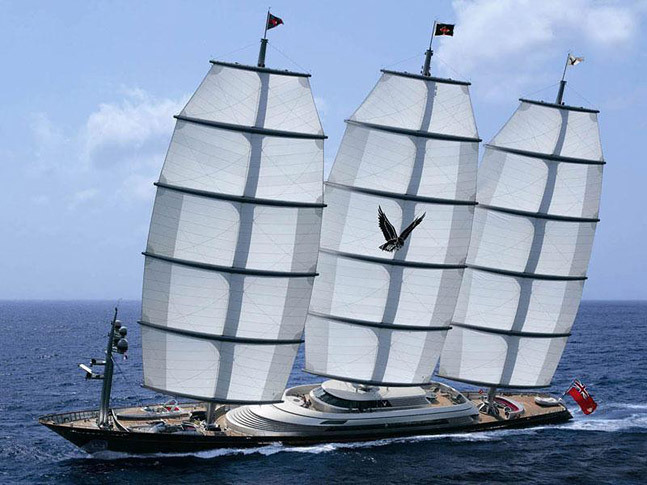 Luxury charter yacht MR. TERRIBLE provides well-appointed accommodations for up to 10 guests in 5 double cabins. 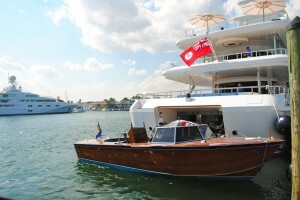 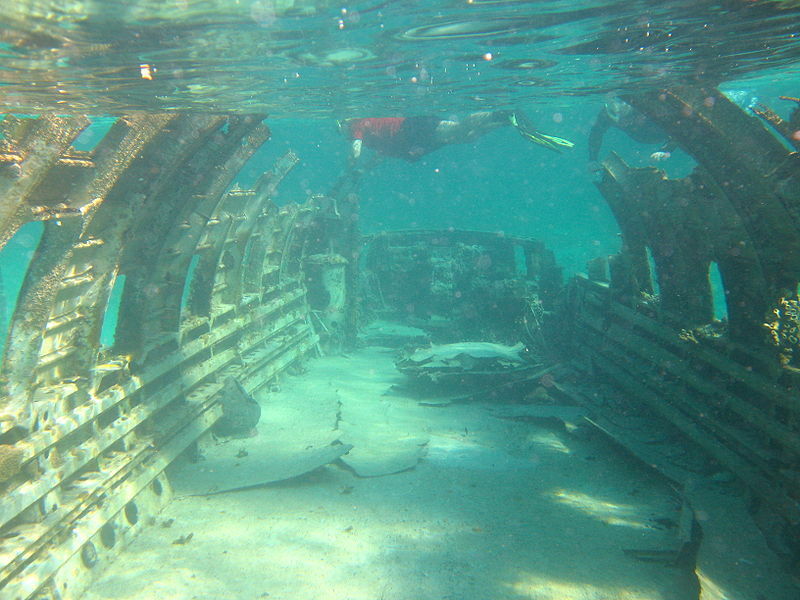 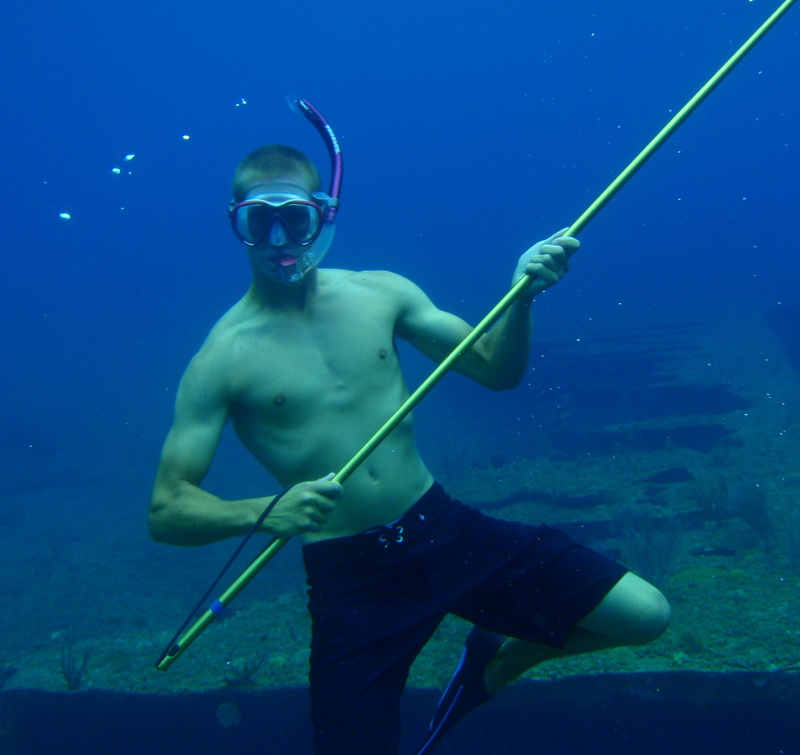 An amazing charter yacht vacation would not be complete without some outdoor fun and MR. TERRIBLE offers a great variety of water toys to enjoy including waterski’s, kayaks, towables, snorkeling gear and fishing equipment.